I've been known to enjoy a Leinie every now and then. Mostly shandies. Like many of my friends, I typically kick back with a Summer Shandy in the warmer months and the brewery's Harvest Patch Shandy (which is their pumpkin beer) was one of my default beverages this autumn. 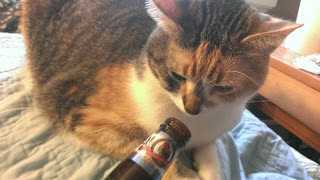 But, my experience with Leinenkugel begins and ends with shandies. Last winter, my future father-in-law kept his fridge stocked with Snowdrift. I'm always temped by porters, but, seeing has how I was visiting in the middle the Christmas brew season, my beer palate was preoccupied. My final Christmas post went up a week ago tomorrow. Now that winter's sprawled out openly before me, what better time is there for me to try a Snowdrift Vanilla Porter? Leinenkugel's has a long history of brewing. It's a family-run operation that can trace its legacy back six generations. The brewing company was founded in Chippewa Falls, Wisconsin way back in 1867 (two years after the end of the Civil War). It has been in Chippewa Falls ever since. During Prohibition, the brewery navigated the uncertain waters by switching from brewing beer to making soda. 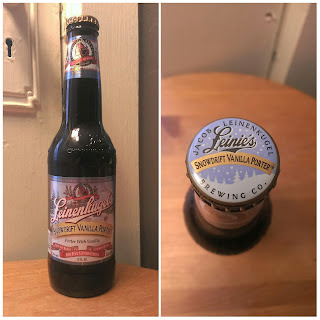 Once the that era came to an end, the Leinenkugel family quickly transitioned back to their malted origins. Today, they are a pretty widely, and easily, recognizable brewing company. The "Our Heritage" portion of their website is pretty interactive and incredibly in-depth (it's an incredibly engaging time-sink) so be sure to check it out if your curious about the brewery's decade-and-a-half history. When it comes to their brews, specifically the beer at hand, Leinenkugel's is pretty transparent with their ingredients. According their webpage for Snowdrift, the porter contains real vanilla, seven different kinds of malts, and two strains of hops. At 6% ABV, the porter supposedly evokes a smoothness that carries notes of coffee, caramel, and chocolate. I get hints of chocolate and coffee in Snowdrift's aroma. But first and foremost, somehow inexplicably, the porter smells like freshly-fallen snow. It smells crisp, cold, and clean. It's a treat. 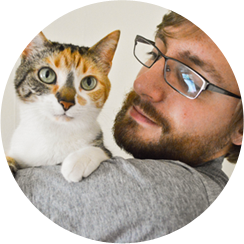 And, on some level, Purrl agrees. She gave the porter an extremely respectable six whiffs. Unfortunately, the snowiness of the aroma carries into the flavor. This is bad, because the beer tastes watery, much like freshly-fallen snow. There's a tiny bit of coffee lurking in each swig's finish. But all the other touted flavors are drowned out by blandness. The mouthfeel is more smooth than it is creamy (Leinenkugel advertises both for the brew). It's lightly carbonated and nothing like the heaviness I expect from a porter. In sum, Snowdrift's mouthfeel closely mirrors its flavor. The porter is the perfect match for the 1.5 weeks of winter we've experienced in the back end of 2015: cold and wet. I don't know about you, and where you live, but in Ohio we've had pretty constant rain since the solstice--we had a few flurries one day (which is encapsulated by the porter's aroma). But, other than that, this winter has been pretty meh thus far. I really wanted to love Leinie's Snowdrift Vanilla Porter. And while there were aspects of the brew that approached perfection (i.e. it's aroma), the beer as a whole is a wash for me. Maybe I picked up a bad batch, but the best I can give my watery bottle is a 7.0/10. It's not a bad beer at all--I'd always choose this above a Bud or Natty--but it's unremarkably bland. Unless you're feeling lucky, I'd recommend you skip it.